People think that Bitcoin is anonymous. Yet, it has come to light that there is little privacy on the Bitcoin network. Although Bitcoin addresses are pseudo-anonymous, it is possible for someone to analyze the Bitcoin ledger and deduce the identity of people using their transaction history. By linking addresses and transactions together, law enforcement officials and criminals could deduce the identities of Bitcoin users. 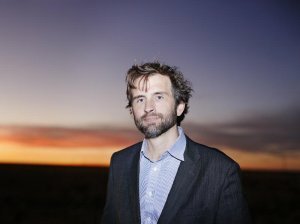 Zooko Wilcox, a Colorado-based security specialist, was an early contributor to the Bitcoin protocol. He recognized the privacy deficiencies in Bitcoin and wanted to improve upon it. Unfortunately, building such features into Bitcoin in 2016 would prove near-impossible with the community’s resistance to modify the core protocol. However, Wilcox was convinced that a digital currency with the decentralization of Bitcoin and privacy of cash is possible. From that idea, Zcash (Zero Cash) was born. Zcash uses Bitcoin’s core code and improves upon the anonymity aspect of transactions. Zcash utilizes a cryptographic method known as “zero-knowledge proofs,” which leverages complex mathematics to prove a piece of information is true without revealing anything about that underlying piece of information. These zero-knowledge methods are baked into the Zcash protocol as zk-SNARKs (Zero-Knowledge Succinct Non-Interactive Argument of Knowledge) and enable most of the security features that characterize Zcash. 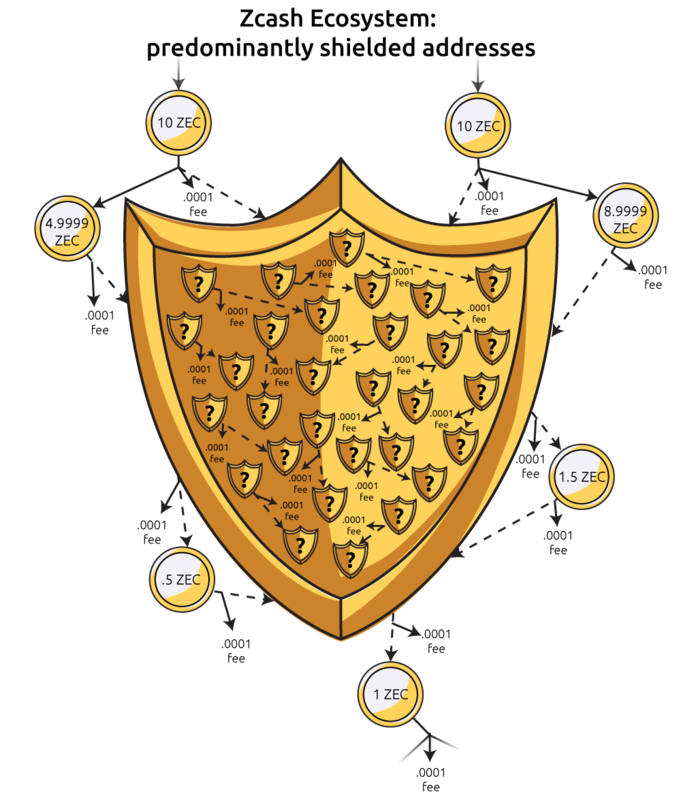 The most important feature is “shielded transactions.” A shielded transaction is the term for a private transaction using zk-SNARKs on the Zcash network. Unlike other methods by cryptocurrencies to provide user privacy, shielded addresses look identical to observers of the Zcash blockchain allowing for unprecedented levels of transaction privacy in 2016. However, zk-SNARKs comes with a catch. Implementing the system has a huge vulnerability, at least at inception. The security of zk-SNARKs is predicated on a seed, an enormous randomly generated number, that must remain secret to ensure the security of the protocol. If someone were to uncover the key that zk-SNARKs are built upon, then that person could mint millions of Zcash out of thin air. Filmed every portion of the ceremony and released it to the public. Filmed the filming equipment to prove that the first set of equipment wasn’t tampered with. Purchased new computers for the sole purpose of generating the key. Generation of the key was split over six participants to reduce the risk that all six of them were compromised. All mediums, computers, and memory which interacted with the key were dismembered, destroyed, and burned. For additional details on the Sprout ceremony, check out this NPR podcast done in collaboration with the Zcash founders. When Zcash launched on October 28th, it was sensational. The first cryptocurrency to implement a strong privacy component to a blockchain. Following launch day the price of a single Zcash peaked at $5,300 when Bitcoin was trading at less than $720. Recently, the Zcash team successfully conducted a second ceremony: the “Power of Tau” privacy ceremony. The second ceremony upgraded many of the security features in the Zcash protocol. However, unlike the first ceremony, the Powers of Tau was open to the public and included hundreds of participants across the globe. Each of these participants is then able to attest to the successful completion of the process. With the Power of Tau successfully implemented there were a few notable improvements to Zcash. Security features in Zcash now require much less computation. Previously, a huge amount of computing and memory power was necessary to conduct Zcash shielded (term for the protocol’s private) transactions, which limited its use on the network. The Power of Tau ceremony will become the primary updating process for the protocol, allowing for a more transparent and trustworthy process for updating Zcash. A controversy surrounding Zcash is the limited use of the protocol’s private transactions. Many users do not know how to enable zk-SNARKs on the network, or the other hoops to jump through are too onerous for a typical user. The reduction in computational intensity should make use a little more widespread. However, if there is still an insufficient userbase for shielded transactions, then the security of the whole system is harmed. According to official Zcash website, the more people who enable the security feature, the more secure the network is as a whole. Ideally, more than 50% transactions on the network would use zk-SNARKs which would help obfuscate the identity of other visible transactions on the network. However, when a smaller percentage of users utilize shielded addresses, then “it’s relatively trivial to assume that shielded addresses on average have a higher balance, making them a higher target for attempts at theft.” On top of that, a hacker could use network timestamps from unshielded transactions to deduce the identity of shielded transaction users. 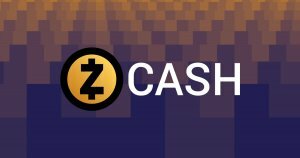 Zcash is one of the first cryptocurrency to implement completely private transactions successfully. Not only that, the Zcash team is still on the cutting-edge of digital currency privacy with many other cryptocurrencies following their lead. Even with the deficiencies of Zcash, future Power of Tau ceremonies will continue to enhance the security and efficiency of the Zcash network.